When you’ve got kids to drive, errands to run and friends to spend time with, it can seem like you have little time for anything else in your life. Finding time to clean your house can seem impossible. At All Star Cleaning Services, we’ve got you covered. 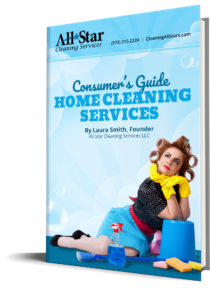 With such a full schedule, you shouldn’t have to worry about housecleaning. Feel guilt-free when you hire out the tasks that take up so much time. At All Star Cleaning Services, we want you to find a happy and healthy balance in your life. That’s why our professional maid services will leave your Loveland, CO home clean and sparkling. 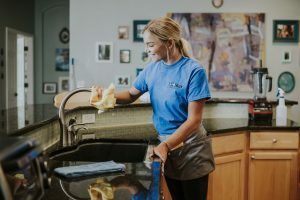 All Star Cleaning Services prides themselves in their connection with both their clients and their homes. We work hard to create positive and beneficial relationships with each of our clients, which allows us to clean your home to your specifications. You work hard, so we’ll work harder to make sure your home is up to your standards. Dusting: baseboards, blinds, ceiling fans, picture frames, etc. Spot clean: walls, interior windows, doors, cabinets, etc. Clean: windowsills, sinks, mirrors and switch plates. Vacuum: furniture (as needed), carpet, hard flooring and edging. Misc. : empty wastebaskets, as well as straightening and tidying as we go. Other services, such as cleaning dishes, folding laundry and changing bed linens, are available upon request. At All Star Cleaning Services, we think it’s time that you get your life and home back. And we’re ready to help make it happen. Our guilt-free and affordable house cleaning services gives you the benefit of a clean home without the hassle. Call All Star Cleaning Services today at 970-215-2224 to learn more.